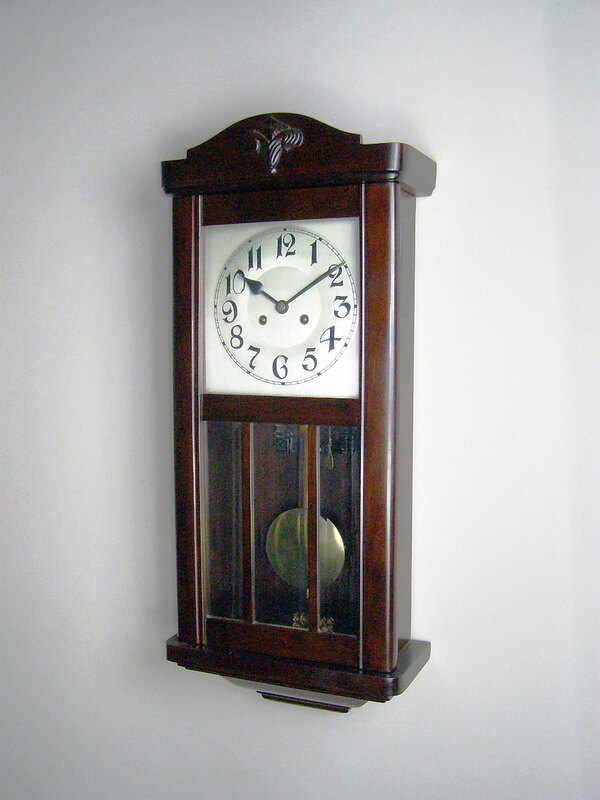 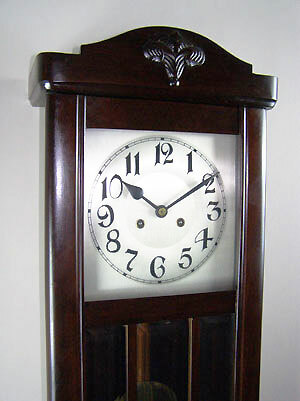 This stained beechwood striking wall clock has a square silvered dial, Arabic numerals and spade hands. 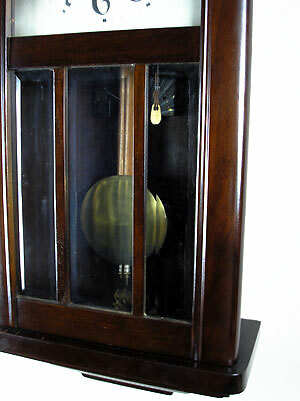 The pendulum is visible behind bevelled glass. 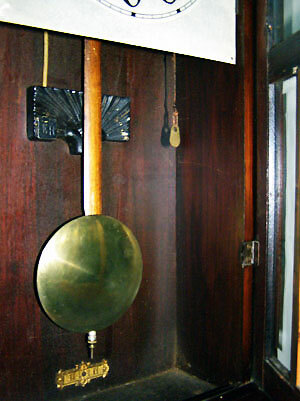 The eight-day, unsigned movement is probably by Erhardt Junghans from Germany.